Holiday apartment Vienna Hietzing | Accommodation Vienna Schoenbrunn | Holiday apartments Vienna! Apartment Hietzing (60m2) is a superbly equipped, with nice views into the Garden including a balcony. 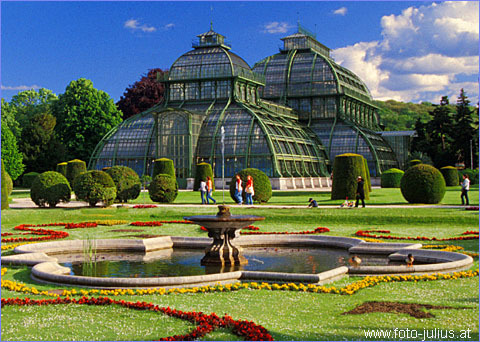 The area is very exclusive and quiet where you can enjoy your stay in Vienna. The Hietzing apartment is the perfect choice to expore Vienna. It is situated in the fabulous and quite area and starting point for beautiful walks through the park of Schoenbrunn with exiting views. Next to the apartment you have a lot of wine restaurants called Heurigen. The photos above of this great one bedroom apartment really speak for themselves; the Hietzing apartment is an absolute must for the visitor who is looking for quality, great decor and a slightly quieter choice of apartment, yet still central. Visit the Christmas Market on Vienna’s City Hall Square – it is an unforgettable highlight for visitors eager to get into the Christmas spirit. The unique backdrop of the Burgtheater and Vienna City Hall gives this Christmas market a charm all of its own. The delicious aroma of punch, traditional gingerbread, roasted almonds and honey puts everyone in the Christmas mood. Enjoy the Vienna festivals and concerts. Vienna is waiting for you! This entry was posted in Apartments and tagged apartments vienna, Schoenbrunn castle, Vienna accommodation, Vienna cheap hotels, Vienna citycenter rentals, Vienna holiday apartment Schoenbrunn, Vienna holiday apartments, Vienna holiday rentals Hietzing, Vienna vacation rentals. Bookmark the permalink.